The district of Thekkady is nearly on the border of with the state of Tamil Nadu, and is well joined by bus to both Kerala and Tamil Nadu. 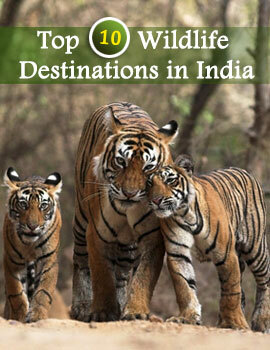 The wildlife sanctuary in Periyar is the main attraction for the visitors staying at the hotels near Thekkady. Some of the other animals found in the Periyar wildlife sanctuary are wild dog, bear, wild dog, leopards, bison, sambar, lion tailed macaques, the Tiger, the Asiatic Wild Elephant, and the unique Nilgiri langur with a black body and a white face etc. The district of Periyar in Thekkady is 190 kilometers from Cochin, 60 kilometers from Idukki and 114 kilometers from Kottayam. The S N International Hotel in Kumily is one of the good nearby hotels from Periyar/Thekkady located at a distance of 1 kilometer from the district of Kumily near Periyar/Thekkady, Kerala on the Kottayam-Madurai Highway. The Periyar/Thekkady S N International Hotel in Kumily is located at a distance of 100 kilometers from Kottayam, 110 kilometers from Munnar, and 140 kilometers from Madurai. The S N International Hotel in Kumily, Periyar/Thekkady has a provision for superb accommodation. The hotel has 92 well furnished elegant rooms for the guests. The rooms are categorized into Deluxe Rooms and Regular rooms, which are well set with custom designed furnishings in the S N International Hotel in Kumily. The Hotel S N International has a multi-cuisine restaurant which serves a wide variety of the delicious cuisine of Kerala.